Whenever you have multiple client databases connected, there is a potential for client data duplication. This guide will provide a few troubleshooting tips to help you prevent client duplications between XPM and Practice Ignition. To better understand how data flows between Practice Ignition and XPM generally, please read this article. First, let's go through the best sources of information for identifying client duplications. Practice Ignition operates in a 2-way sync with XPM, and thus we have a unique XPM identifier for each client (and each client duplicate) we receive from XPM. You will find the client XPM identifier in the client record under System after clicking Edit Client - this will match the ID in the URL of the client in XPM. See screenshots below. 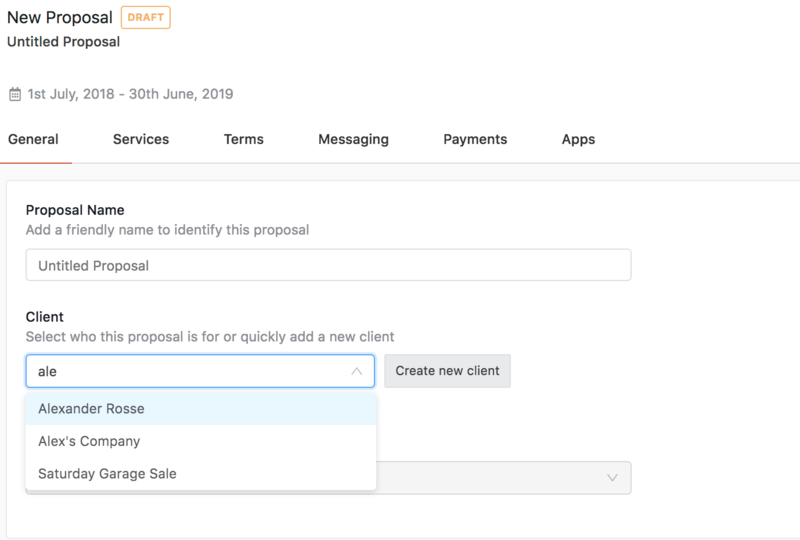 When creating a proposal, you can select a client from the drop-down list, or elect to 'Create new client'. The drop-down list contains all clients from XPM. Creating a new client in Practice Ignition will, on acceptance of a proposal for that client, create a new client in XPM - potentially causing a duplication. Suggested rectification step: We would suggest having a hard rule about which system you will use to create a client in your practice (either in Practice Ignition or in XPM). If you choose that all new clients should be created in PI, we would suggest checking that you already don't have that client in XPM. If the other way around (create clients in XPM and sync to Practice Ignition) ensure you wait for clients to appear in the drop-down. You can do a manual sync of the database in the App settings, but depending on how many records you have, and also how many other people are requesting info on the API, this may take some time - be patient to avoid duplications. When you archive or merge a client in XPM, this client will still be available in Practice Ignition. By maintaining the record in Practice Ignition, we allow you to be able to access proposals that may be allocated to that client. However, if that client is selected for a new proposal in Practice Ignition, when that proposal is accepted, the client will be un-archived or un-merged in XPM. Suggested rectification step: Put in place a process for removing clients that includes updating the records in Practice Ignition and XPM. Be sure to update the correct record in Practice Ignition, by checking the unique identifier matches the XPM client URL as detailed above. If you have enabled the link between Xero and XPM to allow the import of invoices from Xero to XPM, it is important to check the names in Xero exactly match those in XPM. If there is even one character difference (e.g., a mis-spelling or punctuation) then a duplicate will be created each time an invoice is synced (even if old records are merged in XPM). Suggested rectification step: Check client names in Xero and enable the Client name sync if it is not already enabled in the Xero App settings in Practice Ignition.